Unlike most people, I have never had much luck with growing zucchini. This year however, my plants are producing! A few days of garden neglect - and suddenly I have an abundance of massive zucchini! Not only am I sort of overwhelmed by zucchini, but my daughter is home from college right now. She is only here a short time, and the days are going by much too quickly. I want to spend some quality time with her, so I have decided to take a little break from blogging this week. My little blog vacation won't be for very long. There will be another post published here next Tuesday. Perhaps I will even have some zucchini recipes to share! What is your favorite way to prepare zucchini? According to the time and date website, the sun was not expected to set last night until 8:28 pm. I took this photo from my deck last night at 7:02 pm. What appears to be clouds and fog is actually the smoke from wildfires that has been blanketing the Western states and provinces. Sadly, three firefighters lost their lives in a Washington fire this week and others have been injured. I'm wishing the weather would give the firefighters some assistance this weekend. Cool temperatures, lots of rain, no wind, and no lightening would be really nice. Birds were flying under a blazing sun in the smoky sky last evening. What are you hoping for this weekend? Note: If you are visiting this post in search of the Words for Wednesday prompt for this week, please visit my post for Wednesday, September 2nd. You will find them there! Note: This article does not seem to be formatting correctly in the mobile view. If you are unable to view the full width on your cell phone, try switching to the web version (link at bottom of the post). Sorry for the inconvenience! My husband's parents from Ohio were visiting us last week. Just as we were driving home from a restaurant on Friday night, a dramatic thunder and lightening storm began. It set off some new wildfires in Montana, and also caused a power failure. Our house and surrounding countryside were dark when we arrived home, except when briefly illuminated by the flashes of lightning. It was pouring rain, and of course the garage door wouldn't go up. My husband hustled in to the garage through the house and manually opened it, so all the rest of us could stay safe and dry! I haven't published much fiction lately, but today I'm picking up where I left off, with Part 8 of my fiction story about Mindy, an adorable compulsive shopper and hoarder of cleaning products. I wrote this segment of Mindy's story (like all the others) using word prompts from the Words for Wednesday Challenge. The Words for Wednesday Challenge was originally started by Delores of Under the Porch Light. It was continued for a while on the blog Elephant's Child, then moved to River's blog Drifting Through Life in July and now to Randomosity this August. Next month it will be my turn to provide the word prompts for the challenge! Two years ago, my daughter was preparing to head off to her freshman year at college. She would be living 600 miles away from home, and I was probably more apprehensive than she was! To offset my worries, I did everything I could to be sure she would have what she needed, and that she was well prepared to begin living away from home. She would have loved to bring our cat, but that was not an option! On a mountain hike in Montana a few weeks ago, we came across a few patches of berries growing near to the ground, next to the trail. They seemed too large to be a huckleberry, and were not growing on a bush like a blueberry. Do you know what kind these are? Montana is once again hot and dry, with several fires burning across the state. The flames from a fire in Eastern Washington were licking the westbound lane of the Interstate when we drove home from vacation this past week. I'm not sure what started it - it could have been a spark from a chain being dragged by a semi-truck, a still-lit cigarette tossed from a car window, or numerous other causes. Lightening this time of year is risk factor enough - humans need to be careful not to add to the potential causes of these fires. Perhaps for the first time all summer, the weather this week has been what is usually expected for this time of year. Hot. My son's high school soccer team will begin official practices today, and before we know it it will be time for the first day of school. I would like to know how to make time stand still for a bit! It has been a rather eventful week. Last Wednesday we were planning to be on the road by 5:00 a.m, heading for a family vacation with my parents, sisters, and their families. We had rented a big house for all 18 of us. It was 13 hours from our home, so we were hoping to get an early start. At 4:45 a.m. I began loading the cooler with the food we were taking - and discovered that our fridge and freezer had died. Needless to say, our departure was delayed over an hour, as we unloaded the fridge/freezer and unsuccessfully tried to fix it. We left a key out for the repair person, and called the appliance repair service from the car. After a very fun family reunion, we returned to a working fridge and freezer. Hurray! Unfortunately, the fridge did not stay cold, and on Monday the contents of the freezer began to melt. Hopefully it will be completely repaired today. We have family visiting this week, so I really hope so - it is not a great time to be without a fridge! My creative energy seemed to ebb with the faulty fridge. Rather than write the post I had planned for today, I am sharing a couple "Wordless Wednesday" photos. They are of the newest member of our extended family - and I think you will agree that he is quite a moppet! With this dog, there was actually 19 of us all together for our vacation! What caption would you write for either photo? Eggplant and beets are both delicious vegetables. They can be a little intimidating however, if you have never cooked with them. Really though, there is nothing very hard about preparing either of them. Last week I promised I would share the recipe I made using the eggplant and golden beets I bought at the Saturday market. I always have mixed feelings about the beginning of August. It makes me sad to realize that so much of the summer has gone by. There is relief too, however, knowing that at least there is still a full month until Labor Day. Need a few ideas of how to make the most of every moment of the rest of summer? Here are links to some of what I came across this week. 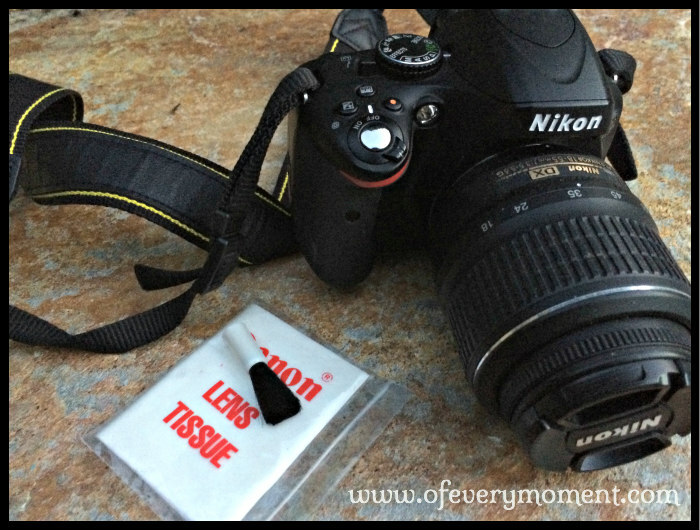 If you are thinking of buying a camera, or wanting to improve your photography skills, I think this post about photography from the blog Yammie's Noshery is very helpful. Having knots in the fine chain of a necklace can really be frustrating! Have you ever tried this technique to unravel them? They say numbers play tricks. Maybe this expression proves that words do too. This saying seems a good excuse to justify indulging in a piece of cake or ice cream! I might need one of these signs for my kitchen! 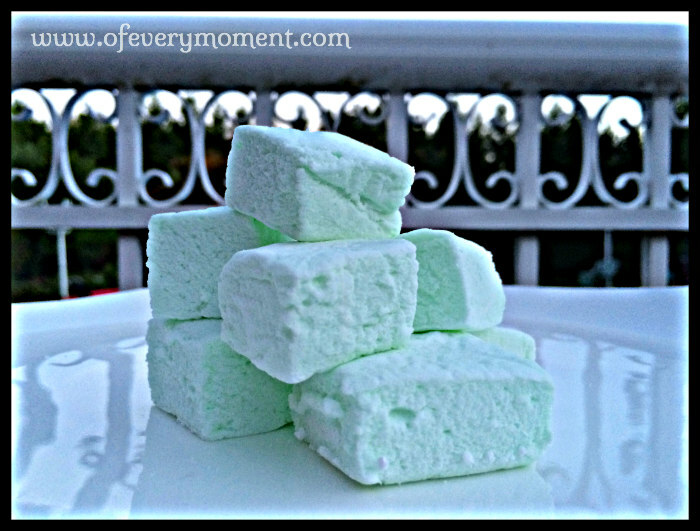 “Today was the absolute worst day ever ... "
Who knew that making homemade marshmallows was so easy?! And so delicious! I love the subtle flavor of mint that was produced when I added homemade mint extract I made earlier this year using this recipe from Mommypotamus. Summer is “bathing suit season,” and many women (myself included) become extra-critical of themselves in the mirror. Exactly one year ago on August 5th, I published an article about self-esteem and women's inner voices of self-doubt. I feel strongly enough about this topic that I am providing the link to that post again today. Mirror, mirror on the Wall: Tell Every Woman She IS Enough! I hope you will read - or reread - my article, and then share its message with someone else. Be sure to watch this video, either here or in my original article. You may want to have a tissue handy! My inner voices of self-doubt still need some squelching, but I am recommitted to working on that. I hope that by publishing this I have also reminded you to believe that you are enough! Watching this video every August 5th might be a good idea. Just like scheduling a pap smear and a mammogram, perhaps we should also have an annual checkup about our self esteem! Make sure your inner voice is saying #I'mEnough ! If you are interested in participating in the weekly Words for Wednesday Challenge that I sometimes use to write a piece of fiction, remember that this month the words are being published by Jacqueline, on her blog Randomosity. In an article Most of Us Own a Time Machine (Check Your Bookshelf!) that I wrote on Saturday, I mentioned that I have a favorite travel blog. I came across it quite by accident. 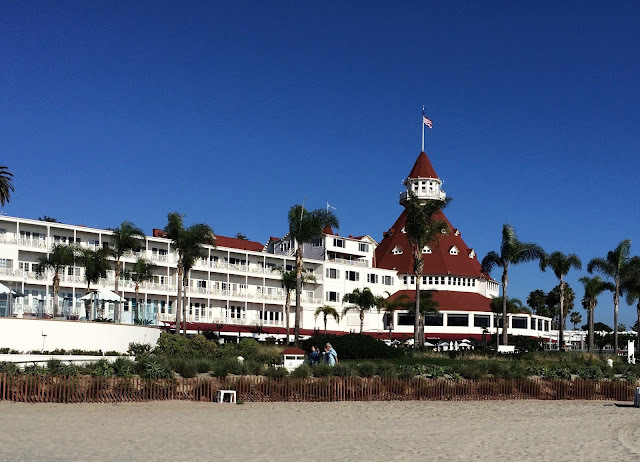 Last January, I was planning a trip to the Hotel del Coronado. At that same time, I was becoming interested in writing some guest posts for other blogs. I wondered if a travel blog might be interested in publishing an article about my vacation. 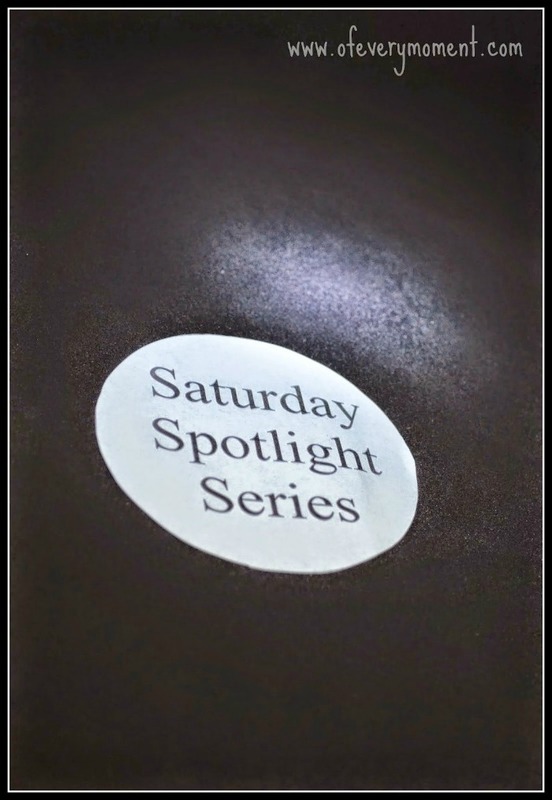 This is my 30th and last Saturday Spotlight Series post for a while - at least until the fall. August promises to be a busy month for me, and I need to cut back on my weekend posts a bit. Since I began publishing my List of Fabulous Finds posts on Fridays, I have been feeling like there is a lot of similarity between that series and this one. It could be that one of them is enough. I would love to know your thoughts - if you prefer one series to the other, or if you think I should continue with both. In this post, my “Saturday Spotlight” shines on a time machine - one that is readily available to us all!. I think that everyone who loves traveling of any kind needs to own a globe!